The Apple Watch can be a great companion on your wrist, but it can also be somewhat intimidating. Before we learn to run with the Apple Watch, it's important to take a look at the basics on how to use the Apple Watch in order to make sure we are maximizing the benefits of this amazing device. Among the many great features of Apple Watch is the ability to place and receive phone calls, text messages and old-school emails, which makes it a gateway to our communication. But Apple Watch is so much more. It is a fitness device, a music player, a calendar, a smart home controller and (of course) a pretty good time-keeper along with the many other things it can do. Apple Watch 101 is a guide to getting started with the Apple Watch after you have it set up and ready to use. If you need help getting it set up right out of the box, refer to our guide on How to Set Up the Apple Watch. How Does Apple Watch Work? Before we jump into the Apple Watch guide, let's have a quick lesson on how the Apple Watch works. When you first took Apple Watch out of the box, you used the Watch app on your iPhone to set it up. Apple Watch uses a combination of Bluetooth and Wi-Fi to communicate with the iPhone. And while some of its features can be used without the iPhone nearby, other features require that connection to the iPhone. Most apps and features of the Apple Watch require some type of data connection. You won't be able to place phone calls, text friends, listen to the radio or use Siri without that connection. 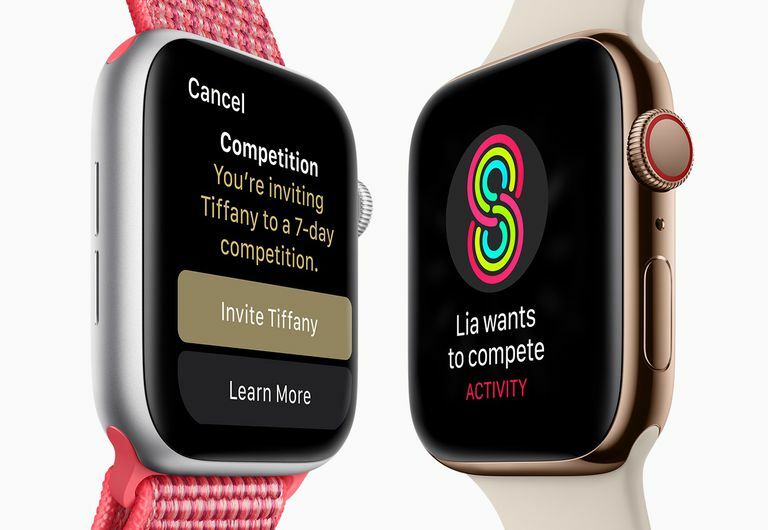 The newest Apple Watch has a model that supports connecting to cellular data without the need for an iPhone, but for most of us, we'll either need our iPhone nearby or we will need to connect to a Wi-Fi network. Believe it or not, some of us don't even realize there is a button just below the digital crown for days or even weeks after buying an Apple Watch, which is why we will start this Apple Watch tutorial with the hardware. Digital crown. The digital crown doesn't just take us from the watch face screen to the home screen with the apps. You can also turn it to zoom in and out of the app screen, and if you have an app open, it will scroll up or down within the app. Side button. It's easy to dismiss the side button, but it's the key to three important features. First, clicking it will open a list of your most recently used apps, which makes switching back and forth between apps easier. Second, holding it down will open the Power Off and Emergency SOS screen. And third, continuing to hold it down will automatically shut down the device if for some reason you cannot get the Power Off screen to display. As a bonus, holding down both the side button and the digital crown will snap a screenshot of the Apple Watch's display. Force Touch. This feature is activated by first placing a finger lightly on the screen and then pressing down against the display. If performed on the watch face screen, Force Touch will allow you to customize the different watch faces. On the app screen, it will let you change to a list-oriented screen rather than a grid. Individual apps may also have special Force Touch functionality. For example, using Force Touch in the Activity app will allow you to see a weekly summary or change your move goal. In addition to hardware controls, there are a few basic gestures that will really help you use Apple Watch to its fullest, including a hidden control panel that can help you do things like locate a lost iPhone. These gestures are similar in nature to the gestures found on the iPhone and iPad. Drag and tap. These two gestures define how to operate the Apple Watch and can be demonstrated on the app screen. Placing your finger on the display and 'dragging' it around the screen will cause the circular grid of apps to move alongside your finger. Tapping an individual app with a finger will launch that app. Swipe down. The swipe gestures operate differently depending on whether or not you're on the Apple Watch's watch face. On the watch face, a swipe down gesture, which is performed by placing a finger on the middle of the screen and then moving it down without lifting it from the display, opens the notification center. This notification center will show any text messages or notifications sent to the Apple Watch. Swiping down within an app will generally scroll up a list or page. Swipe left or right. On the watch face screen, swiping from left to right on the display will change out the watch face. You can swipe from right-to-left to go back to a previous watch face, or use Force Touch to customize the watch faces. Swiping left or right within an app will have specific functionality depending on the app. For example, swiping from right to left on a notification in the notification center will allow you to delete the notification or customize that type of notification. Zoom tap. You can zoom into or zoom out of the display by double-tapping the screen with two fingers. The double tap must be performed fairly quickly. While zoomed in to the display, you can move around the screen by placing two fingers on the display and dragging them without lifting them from the screen. The best part about the Apple Watch is just how easy it is to do the things you expect it to do. Apple Watch features a lift-to-activate gesture, so simply turning and lifting your wrist will activate it. This makes it easy to accept a call or read a text message. Phone calls. You can place a phone call the same way you would do so on your iPhone. Simply tap the Phone app, scroll down your contacts or favorites list and tap who you want to call. Remember, if you don't have an Apple Watch with a cellular connection, you will need to be within range of your iPhone to place the call. Text Messages. Composing a text message is as easy as making a phone call. You can also reply to a text message by tapping it and selecting reply. The button with a microphone will allow you to use Siri to dictate a reply, while the button with a hand brings up Scribble, an input that turns your handwriting into text. You can use this to draw one letter at a time. It also accepts most punctuation. Email. Don't worry, there are no special hoops to jump through to get email up and running on your watch. Your email settings are mirrored from your iPhone by default, which means you will have access to all of your email with the same notification settings. You can turn notifications for specific inboxes on or off by launching the Watch app on your iPhone, choosing Mail and then selecting Custom under Mirror my iPhone. You can reply to individual email messages by using either Siri's voice dictation or the Scribble input. Walkie-Talkie. Another fun way to communicate with the Apple Watch is with the Walkie-Talkie app. This app allows you to enter walkie-talkie mode with any other Apple Watch user in the world. And it is as simple to use as the Phone app. Simply tap the Walkie-Talkie icon, which is yellow with a walkie-talkie on it, and then choose a person from the contact list. If you think Siri is helpful on your iPhone or iPad, it is doubly so on the Apple Watch. You should be able to activate Siri by simply raising the watch to your mouth and giving her a command or asking her a question. You can also use the "Hey Siri" phrase followed by your instructions. Siri not answering? Launch the Settings app on your Apple Watch, select General and then choose Siri. You can toggle both Hey Siri and Raise to Speak from within the Siri settings. For Raise to Speak, you may have the best results by speaking directly into the watch. You can also simply hold down the digital crown to bring up Siri. So what can we do with Siri on Apple Watch? "Hey Siri, what's the weather like?" "Set an alarm for 6 AM tomorrow"
"Send a message to [anyone]"
"Remind me to [do something] at [time] or on [day]"
"Set a 10 minute timer"
"Get driving directions to the nearest gas station"
"What's the tip on a [any dollar amount] bill?" And many other commands, including commands for specific apps such as "Call Phil on Skype"
Siri will default to walking directions, so, "Give me directions to the nearest gas station" will take you there on foot. Use the "driving directions" keyword phrase to get more convenient directions. Many of us jump into the world of smartwatches for the fitness side of things rather than answering that text message or phone call without reaching into our pocket for our phone. Apple Watch has two core exercise apps: the Activity app, which tracks normal activity on a daily basis, and the Workout app, which allows you to track specific workouts. The Activity app is great. You can change your move goal by using a Force Touch press, and you can get more detailed reports including historical information by launching the activity app on your iPhone. But the exercise goal within the Activity app is only a basic exercise monitor that simply tracks your active time in rings of thirty minutes with no way to customize it. Launch the Workout app. This is the green app with the figure running. Choose from the list of workouts. There is everything from running to swimming to cycling to rowing or even yoga. If you don't see your exercise on the list, simply choose Other. Tap the workout. The Apple Watch will count down from three and then begin tracking your activity. When you are done, swipe from left-to-right on the screen and choose End. You can also tap Pause to take a short break or Water Lock if your exercise is in the pool. Read more about customizing Apple Watch settings. Workouts are tracked through the Activity app on your iPhone in the Workouts tab. You can view a report of an individual exercise by tapping it in the list. The report will include calories burned, total time and average heart rate. It will also record the weather at the time of the workout, and if you own an Apple Watch with GPS, your location and path will be recorded on the map. Want an even faster way to start a workout? Use Siri. "Hey Siri, start yoga workout." The Apple Watch has a Settings app on the watch itself and a set of settings access through the Watch app on the iPhone. Unfortunately, most of these settings are not simply duplicates. While there are a few settings available in both places, there is also specific customization only available through the Watch app or on the watch itself. The Apple Watch's Settings app shares the same "gears turning" icon as the Settings app on the iPhone. It includes the ability to set the the time forward for those who like their watch to run faster than the actual time, turn on or off settings like Bluetooth or Airplane mode, adjust the look and feel of the watch, and customize general settings like accessibility and Siri. The Watch app on the iPhone is the more comprehensive of the two. Not only can you find many of the same settings found in the watch's Settings app, you can also change your app layout, modify the dock, setup Emergency SOS, customize Privacy settings and fine-tune individual apps.